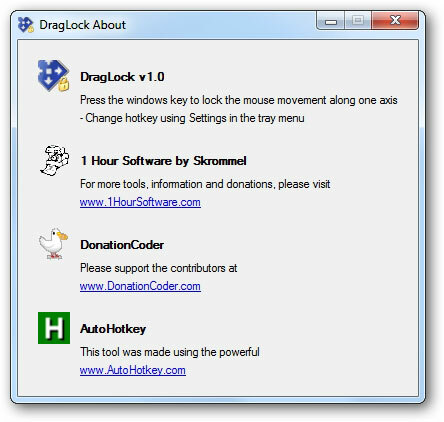 DragLock is a free portable tool that allows you to move windows along one axis. Just run the tool and it will sit in the system tray. Now to move a window along one axis, press the Win key and move the window.